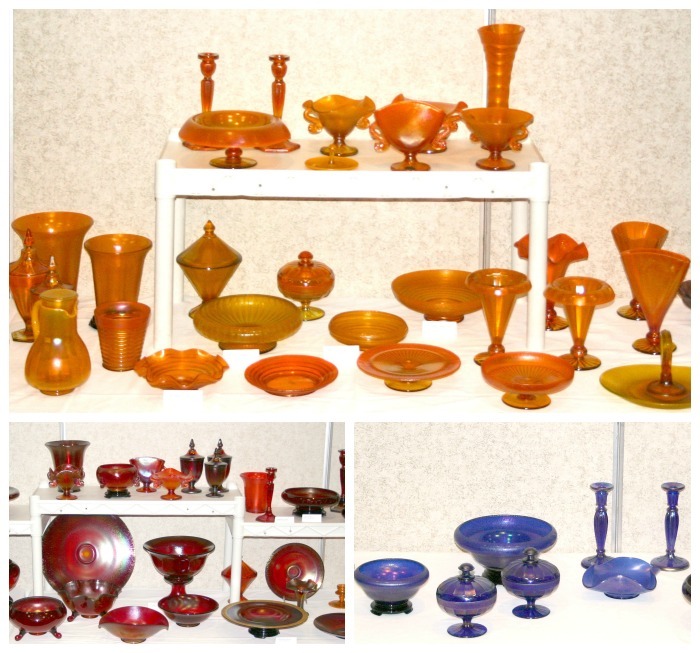 The 2004 Stretch Glass Convention and Show was held in Parkersburg, WV in late July, just before the Fenton glass clubs met for their annual conventions. Our club display theme was "Intense Colors by Fenton." This included Fenton's Royal Blue (cobalt blue), Ruby (red and amberina), Tangerine (orange ) and Wisteria (purple).